August 12 marks the start of the grouse shooting season in much of the UK and focuses the attention on upland management. As shooters up and down the country prepare for the start of the grouse shooting season on August 12, it brings the role of upland management once again in to the limelight. The ‘Glorious Twelfth’ is the traditional start of the grouse shooting season and will see millions of pounds pumped in to the rural economy from this pursuit between now and December, when the season ends. But, like upland farming, it has come under scrutiny from environmental campaigners who would like to see their vision of the uplands become a reality. BBC presenter Chris Packham, reviled by many in farming for his support of plans to reintroduce lynx in to the UK and the wider notion of rewilding, has spearheaded an online petition to get grouse shooting banned. While this petition currently lags someway short of the 100,000 signatures it needs to prompt a House of Commons debate, it is another example of traditional rural practices coming under attack from the environmental lobby. According to rural chiefs, however, grouse shooting and associated habitat management plays a key role in the preservation of the uplands alongside sheep farming. Phil Stocker, chief executive of the National Sheep Association, says: “The ‘Glorious Twelfth’ is a long standing traditional day in the rural calendar that signifies the start of the game shooting season with the grouse season opening on that day, and, along with sheep farming, contributes substantially to the local economy and culture in upland and remote areas. “The links between the shooting fraternity, in particular grouse moor owners and keepers, and upland sheep farmers, connect closely. And he was adamant both sheep and grouse contributed, not detracted, to the biodiversity and beauty of the UK’s upland regions. Exmoor hill farmer and NFU uplands chairman Robin Milton said farmers, gamekeepers, estate owners and shooters ’were all part of the upland mix’ and it was key they worked together. He says: "In well run estates, gamekeepers and farmers work well together and there is a recognition it is not one or the other, it is about shooting and farming working in collaboration. "The majority of grouse moors need effective farming because the sheep keep the vegetation down and act as hoovers for ticks." Amanda Anderson, director of the Moorland Association, echoes this notion of collaborative working. 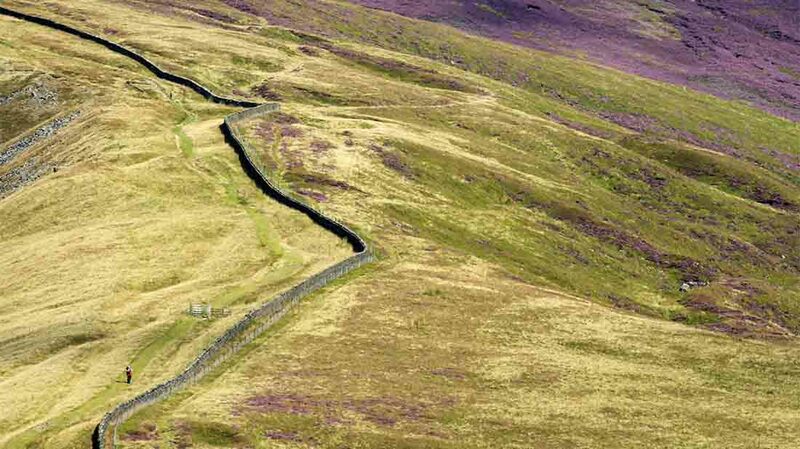 Ms Anderson acknowledges there has sometimes been a fragmented approach to upland management, with farmers and others often feeling under attached by bodies such as Natural England and what she claims has been ‘prescriptive’ stocking rates. But she says the mood is changing in favour of a more collaborative approach which recognises the importance of grouse management and sheep farming with the moorland scene.